Any regular reader of DC titles will have seen the 'preview' for Superman Earth One Vol 2 in just about every title this month (other than the Before Watchmen titles) The first time I saw it I found it striking and artistic. By the time I was on my sixth dose of it I had met my quota of Superman for the year. With all this advertising it's no wonder my local Forbidden Planet store had a stack of the books on the shelf this morning. Just like the Batman Earth One book it's high quality hard back glory called to me across the shop and I knew I needed it in my life. After a long conversation with myself I decided I couldn't afford to pick both books up at the same time so I ended up heading home with just volume one. The book is bound in the same style as Batman Earth One. Its squarely bound with no dust cover and a very pleasing plastic 'shine' on parts of the cover image. It's well put together and I have no doubt that the Earth One series of books will look very nice on any shelf. I'm a long standing follower of Straczynski's work and he very much writes to my tastes in all things he puts his pen to so it was no surprise when the opening few pages of the book really grabbed my attention. The story progressed like a movie rather than a comic with parts of the plot told using surgically placed flash back panels rather than a more direct story telling. This made you feel like there was no 'warm up' to the story at all. As usual I try desperately to avoid spoilers but I have to mention the similarities between some of the dialogue in this book and the 1978 superman movie. There's also a conversation about his uniform with his mother that had very direct echoes to the pilot episode of the Dean Cain TV series. I realise that there are only so many ways to phrase things and the Superman story has been told many times but these moments felt less like coincidence and more like heart warming tributes. 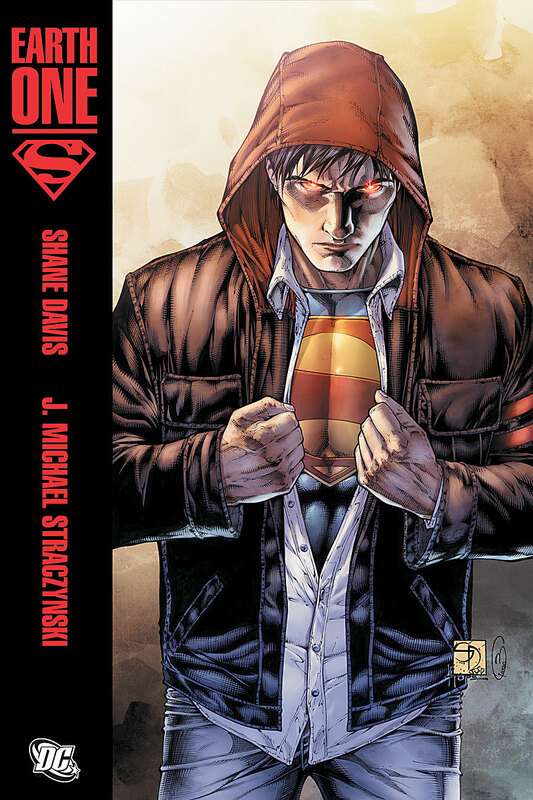 The character that Straczynski has crafted is not the usual Superman but a more refined and smarter person who really wants that normal life. His sense of self and his reflection appears very prominently in the story making it feel far more personal. The other change that was made for the Earth One universe was the addition of the 'ship' that Clark arrived to earth in. the angle taken on this plot point is very fresh indeed. Next time I venture from my geek cave to get supplies I will most definitely be picking up volume two and I cant really see how it can go far wrong.